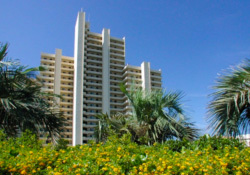 One Seagrove Place condominiums are located beachfront in Seagrove Beach, Florida, convenient to the exciting resort destinations of Destin and Panama City Beach, yet nestled a world away amid the beauty of scenic highway 30A. One Seagrove Place condominiums feature a two bedroom/two bathroom floor plan, fully equipped kitchen, washer and dryer, and a spacious private balcony for soaking in the spectacular Gulf of Mexico views. The resort is within walking distance of the magical community of Seaside and overlooks Point Washington State Preserve to the north, Grayton Beach State Park to the west, and Deer Lake State Park to the east. Nicknamed “The World’s Most Beautiful Beaches,” the beaches of South Walton are famous for their white, powder-soft sands and crystal-clear emerald waters. Visitors to One Seagrove Place in Seagrove Beach will enjoy unlimited outdoor activities such as biking, walking, shell collecting and fishing, along with a wide variety of water sports. In addition, South Walton restaurants are some of the finest in Florida, and the area offers a unique and eclectic selection of galleries, gift stores and boutiques. This entry was posted on Monday, February 22nd, 2016 at 3:37 am	and is filed under Blog. 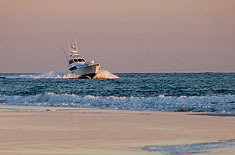 This post is tagged: 30-A Vacation Rentals, 30A Beach Rentals, South Walton Beach Rentals. Both comments and pings are currently closed.